For 28 years, Mahen Bonetti, the founder and Executive Director of African Film Festival, Inc. (AFF), has been celebrating African cinema in New York City. The non-profit arts organization was founded in 1990 and showcases works of African filmmakers and develops ways to share the vision and culture of African film with American and international audiences. This year the New York African Film Festival started May 16 and will run through June 10. 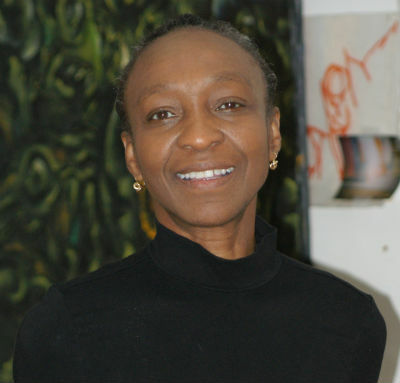 Born in Sierra Leone, Bonetti lives in Manhattan with her husband and their daughter. She recently told The New York Trend more about this year’s festival. New York Trend: What are some of the highlights for this year’s festival? Mahen Bonetti: This year’s festival celebrates a milestone for the AFF: 25 years of bringing innovative and cutting-edge cinema from Africa and its diaspora to the premier cinema houses of New York. The program will highlight the pioneers of classical African cinema in dialogue with the new generation of filmmakers—women, youth, and a crop of avant-garde and experimental artists. It is an exciting program that reflects an amalgamation of all the major themes from our archive: modern days, ancient nights. The festival also pays homage to Nelson Mandela in this year of his centennial. The 2018 festival will also present a digital art exhibition, a panel discussion on art and activism and live performances. New York Trend: Why do you feel the festival has had such longevity? Mahen Bonetti: Because each generation of filmmakers on the continent and in the diaspora puts its own spin on the African story. When the festival started 25 years ago, there was a lack of faith in the viability of African-centered cultural programming, especially on the scale of a festival. We were told no one would be interested. But the response showed a hunger for art of the caliber and vision that we offered through the festival. The AFF is also a home for both established and new filmmakers who find a platform here that offers them opportunities to develop a sophisticated audience and exposure to cultural and academic institutions that buy their work. We are also invested in bridging the space between the audience and the artists through post-screening conversations in which the artists are front and center yet engaged with an intelligent and curious audience. It is a whole package of quality, innovation, audience development and textured contextualization of the films through programming that includes panel discussions, art exhibitions and live performances. New York Trend: Can you explain your tagline: “More than just a festival”? Mahen Bonetti: This has been the identity of AFF from the beginning. The organization started 28 years ago with a series of community programs and a biannual festival. Then we realized that it was important to provide a biennial context for African film and began to curate art exhibitions, master classes and panel discussions in tandem with the festival. But the organization is not limited to the film festival itself. In its present incarnation, AFF offers year-round arts and culture programming on a global scale and in collaboration with world-class institutions, from MOMA to the Guggenheim to the Brooklyn Academy of Music. We also serve as a resource for filmmakers and a range of institutions and professionals — from the court system that may call us about translation services to doctors who are looking for information about a medical issue addressed in the films we screen. New York Trend: Do you feel Hollywood has really embraced diversity–or is it just a phase? Mahen Bonetti: If we put this issue in its global context, Bollywood and Nollywood, respectively have a bigger market than Hollywood. So, we are celebrating the homegrown film industries that are poised to grow even bigger. Nigeria and South Africa have created a star system and audiences in Africa go to the cinema to see local films. To speak truth to power, the issue of Hollywood’s diversity doesn’t inform the work we do. Instead, we are focused on and responding to the future: 60% of the African population is under 40. We are embracing the diversity in film from Africa and its diaspora. We want to extend that conversation even further. There is so much exchange going on between the younger diaspora artists who are collaborating and producing work in music, film, and other arts. They are the bright lights on the continent, the next incarnation of modern African art. This is the future where exciting things are going to happen.